I’ve been reflecting on my life recently – which could have something to do with edging closer to the big 40 – and I realise that, while I’ve been through some hard times, each experience has taught me something and made me stronger. Part of this life journey has been living with a mental illness and learning to adapt to this when needed. As humans, we have an innate ability to adapt and use the hard experiences to become stronger in other areas of our life. For me, mental illness led me to my career in mental health. I am often asked if I had a choice of having a mental illness, would you change this and the answer is yes because there were periods of my life that were really hard for me and the people around, although I am grateful for what I’ve learnt about myself and the human experience. I was in my late teens when I experienced mental ill health for the first time and it scared the hell out of me. It really made me question what this will mean for my life. Why was I thinking this? To be honest, it was because I knew very little about what mental illness was and especially what bipolar was. My ideas of mental illness were from the movies and media and we all know most of the time these are not positive images. I was scared, I felt alone, even though I had strong support networks including a very supportive family. It was both internal and external stigma and it made me, for a long time, try to run from this experience rather than seek the help I very much needed. So what changed? In my case it was my treatment team who 10 years later helped me and my family that made me realise that with help, support and a hell of a lot of hard work I could still have that dream we all have as kids growing up. Fifteen years later, I am working in mental health in a leadership role supporting a team of dedicated peer workers who use their own experience to help others navigate their own personal journey through mental ill health. Are there still hard times? Yes – I still face those same demons that I did all those years ago but I have learnt that I have skills and strengths to work through each individual experience. Introspection has been a big part, as have recognising the strengths I have to get through really hard times in my life whether illness related, career or relationship. One of the ways I do this is through journaling my experience and I want to share a few sentences that illustrate this. Yesterday I reflected on the day and like most days I journaled, but I also did a review of what I wrote last year, and they went like this. You’re taking the rest of the week off work which is a good idea as you need to look after yourself. You have a lot on your plate and have come off some medication you have been on for 20 years and anyone would struggle with this. This has led to some side effects and feeling really depressed but you work really hard and at times you need to look after yourself first. Once back at work set some goals and continue to explore opportunities. You have been through tough times before and you will get through this. Revisit things soon and if you’re still not going great look at what needs to change and what extra help you need but you will get there. Last night was the end of your first residential at Melbourne university as part of the Australian Mental Health Leadership Fellowship. You have learnt so much and met so many amazing people including your fellow program participants and world leading experts delivering the program. You have also come back from an amazing holiday in Japan with your wife, somewhere you have always dreamed of going and you both had the time of your life. Once back at work next week catch up on work and meet with you team and start to plan the next 3 months. Finish final preparation for the master class on lived experience you are running with UniSA and get ready for your work placement in NSW as part of the leadership program. Make sure you also take the time to unwind and get some exercise in and catch up with family and friends. It’s been a big few months so reflect what you have achieved, the big year it has been and all you’re thankful for. As you can see from the brief snippets I shared 12 months ago, I was really struggling and what I didn’t share was this was really, really hard to even get to work, get out of bed and see anything positive about my life at the time. But I knew I could get through it, and with time, that this would improve. This hasn’t happened in isolation but with a range of support including regularly seeing my doctor and asking for help when needed. But I feel pretty confident these days that even in really hard times, I can get through. When I look back to my late teens, I was really scared and could not have even imagined I would be where I am today. So when you, or someone close to you, is really hurting because of how their mind is treating them, it’s important to remember the strengths you have and know that even the biggest storms pass. Yes, there may be some damage but there’s also a chance to learn, rebuild and become stronger. Matt Halpin is an experienced health service manager and lived experience leader. 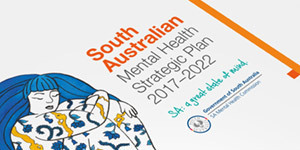 He currently manages consumer engagement and the lived experience workforce for Central Adelaide Local Health Network’s Mental Health Services. 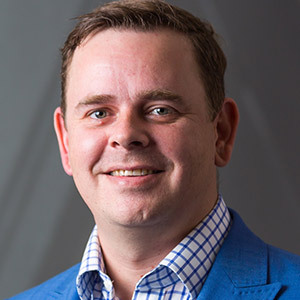 Matt is also an adjunct lecturer within the Mental Health and Suicide Prevention Research group and has published in the area of recovery-based practice, consumer engagement, person-centred care and the lived experience workforce. Matt was also a contributing author of Peer Work In Australia – A New Future for Mental Health which was published earlier this year. Matt is a currently a participant in the Australia Mental Health Leaders Fellowship.